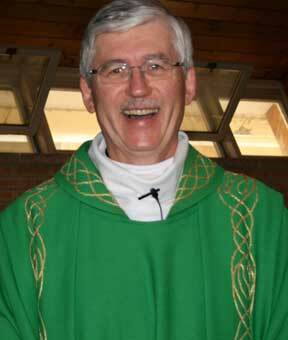 Reverend John Weckend was appointed pastor of St. Cecilia, by Archbishop Daniel Bohan, effective August 1, 2008. John Weckend was born in southeastern Saskatchewan and attended high school in Regina. His seminary education was done in Ontario and he was ordained on October 2, 1971. He has served in many parishes in the Archdiocese of Regina. Father John's interests include sports and music. He has done considerable hiking, including the Grand Canyon and the West Coast Trail of Vancouver Island. He has run full marathons and is an avid golfer. He is also a Saskatchewan Roughriders fan.